During a short meeting Monday evening, board members eliminated two superintendent contenders bringing the list of five semi-finalists down to three finalists. Michael Dunsmore, Diana Greene and Erick Pruitt made the cut. This comes after board members met with the semi-finalists in private, one-on-one meetings last week. 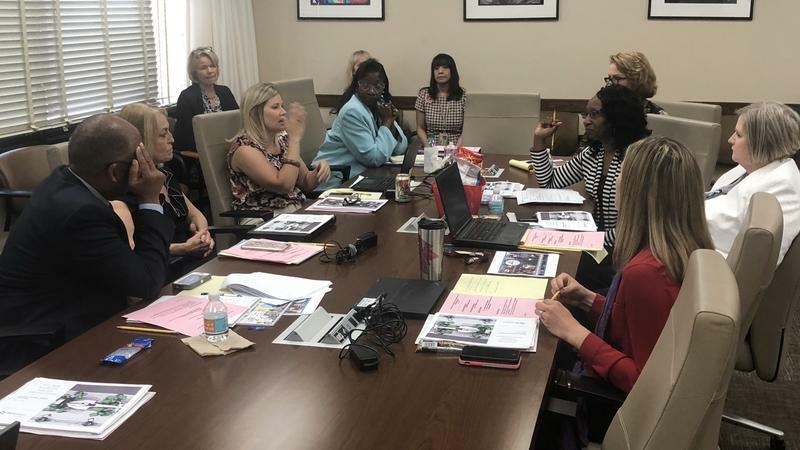 And focus groups made up of educators, parents, students and community leaders interviewed the semi-finalists in open meetings over the weekend. Board members Becki Couch, Cheryl Grymes, Lori Hershey and Paula Wright all voted to eliminate Sito Narcisse and Harrison Peters; while Warren Jones, Scott Shine and Ashley Smith Juarez voted Erick Pruitt and Michael Dunsmore as their bottom two. No board members voted to eliminate Diana Greene, the superintendent of the Manatee County school district. 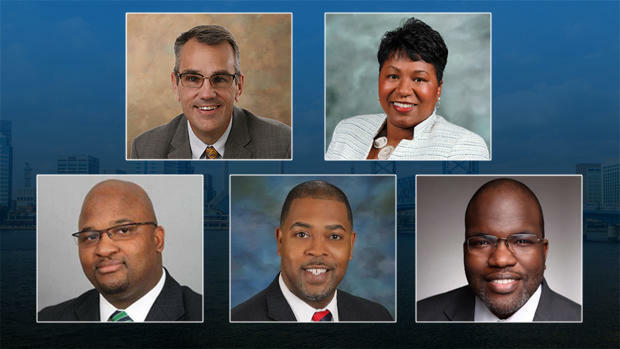 The board will interview the three candidates Wednesday, Thursday and Friday mornings at 9 a.m. in the Cline Auditorium, which is inside the Duval County Public Schools Administration Building at 1701 Prudential Dr. Representatives from the district’s chosen search firm encouraged board members to call the finalists’ references throughout the week. The board is aiming to vote on a new superintendent late Friday afternoon. Dunsmore has led Wayne County Public Schools in North Carolina since 2015. Prior to that he was superintendent for Tyrrell County Schools. Dunsmore was the head college wrestling coach at Shippensburg University for eight years until 2001. Greene has been Manatee County’s superintendent since 2015. Prior to that she was a deputy superintendent in Manatee County and held in various roles with Marion County’s school district. Greene began her career teaching in Duval County for about a year in 1985. Pruitt has worked with the Houston district since 2014. Prior to Houston he spent 16 years in Chicago working his way up after starting as a teacher. He’s also a former Marine. 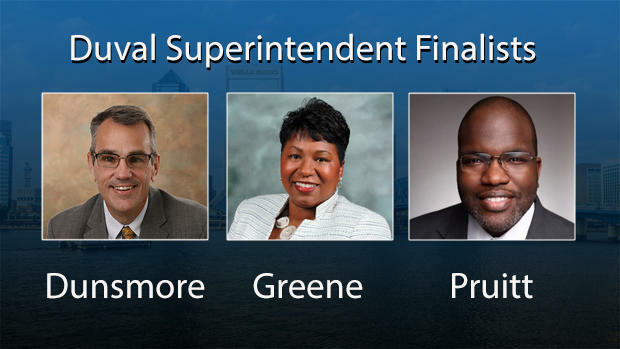 The Duval County School Board will narrow down its five superintendent semi-finalists to two or three finalists Monday evening. Nearly 400 Duval County students will be getting letters in the mail assigning them to new schools. The reassignments are happening two years after they should have been because of a district mistake.